Click Here to Download the Invitation/Reservation form." Click Here to Download the Ad Pricing List." "The Copperstate Detachment supports the Thumb Butte Pound 310 of the Military Order of the Devil Dogs initiative to renovate the WW 1 monument in Kingman. You are encouraged to donate to the MODD Charities as described in the attached. This is our biggest fund raiser of the year. Ad sales are responsible for our overhead, paying for our community programs and most important helping our Brothers and Sisters in need. Please help by placing an ad if your a business, if you know a business owner or you can even place a Memorial ad for loved ones who served. Members receive special pricing for Memorial ads. Click on Book Cover to view PDF file of 2018 book. Click on "MCL CURRENT EVENTS" (button on the left) and Stay Informed! The United States Marine Corps is the most admired and feared military force in the world. 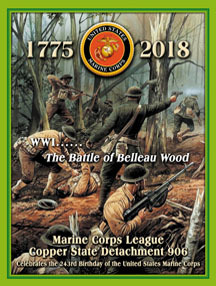 Its reputation for bravery and ferocity has been established through countless displays of military superiority and extraordinary combat valor on the fields of battle in the air, on land and the seas around the globe since its beginning in 1775. No longer on active duty, the members our of detachment continue these traditions as we focus on perpetuating the positive image of the Marine Corps as well as providing assistance to veterans and their families in the communities in which we live. We support all sorts of activities at the local Veterans Affairs Medical Center including Bingo nights, patient visitation, special volunteering, management of the Veterans’ Sports Courts Facility (wheel chair basketball, tennis, pickle ball, volley ball, racquet and hand ball and shuffleboard), outings and other activities. 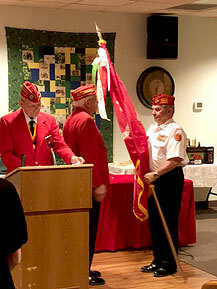 We provide color guards at parades and honor guards at memorial services and patriotic events. 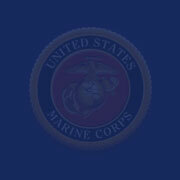 We sponsor Devil Pups and the local Young Marines Program that instills discipline and values in our youngsters. Our Toys for Tots efforts have provided joy and Christmas happiness to thousands of needy children in our surrounding areas. Wounded warriors, needy veterans and their families are assisted through our Marines Helping Marines Program. We are very grateful for the support from other individuals, organizations and businesses that generously donate to our operations to allow us to continue with the above activities. The Copper State Detachment 906 Thanks You for Your Support. Funds raised will be used helping local Vets and their families.